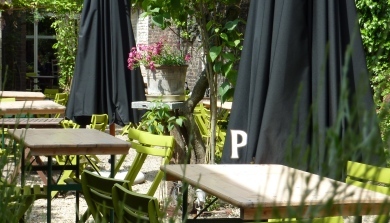 There, you will enjoy this peaceful atmosphere and walk around the village in Provence to discover the world’s most famous producers of ceramic and faïence. 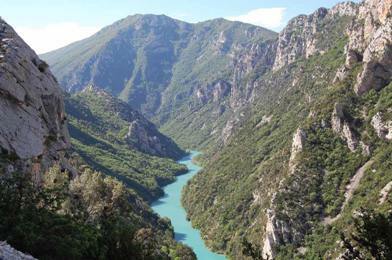 The stunning Gorges du Verdon with its blue-green water coulour will be admirable on your way back to the hotel. 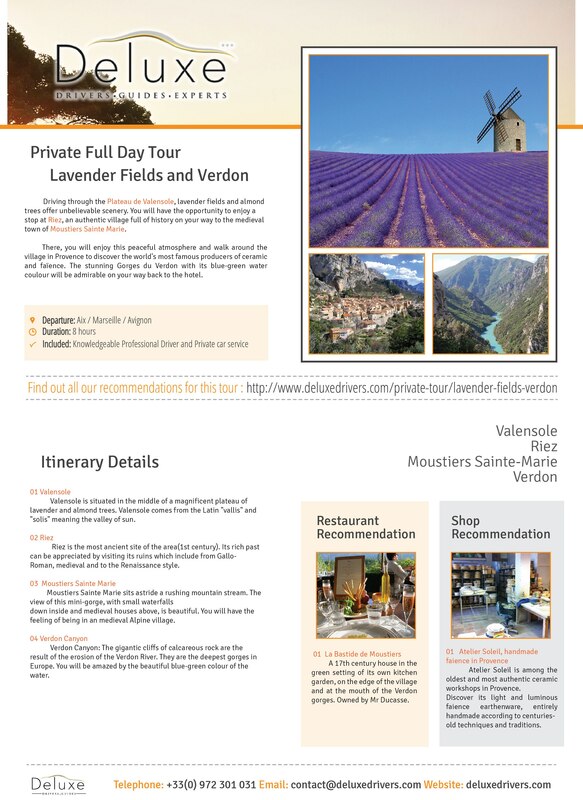 Your Excursion Provence Lavender Fields will start with Valensole which is situated in the middle of a magnificent plateau of lavender and almond trees. 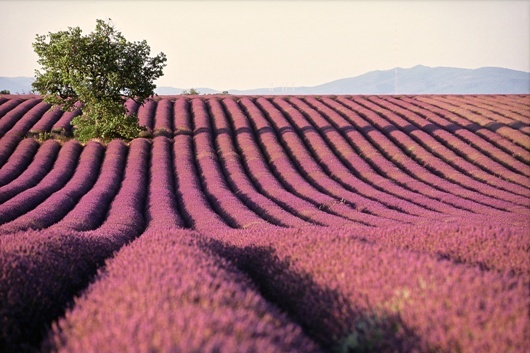 Valensole comes from the Latin “vallis” and “solis” meaning the valley of sun. 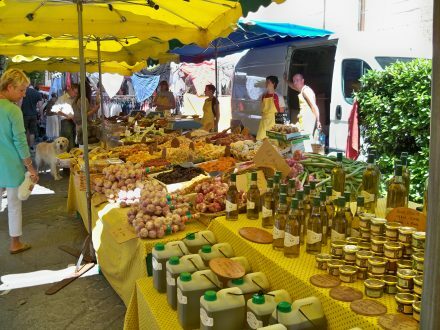 Founded in the first century, Riez is the most ancient site of the area, called Riez la Romaine. 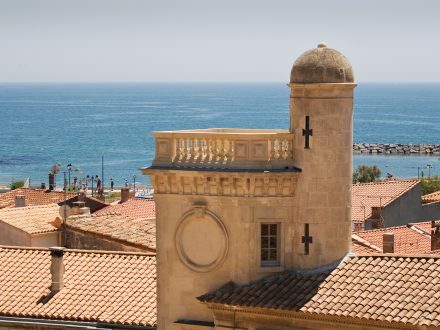 Its rich past can be appreciated by visiting its ruins which include from Gallo- Roman, medieval and to the Renaissance style. 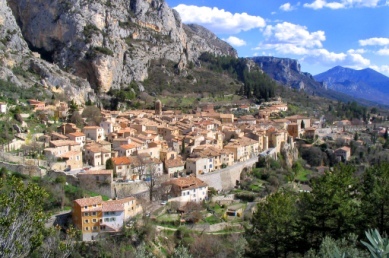 The village of Moustiers Sainte Marie sits astride a rushing mountain stream. The view of this mini-gorge, with small waterfalls down inside and medieval houses above, is beautiful. 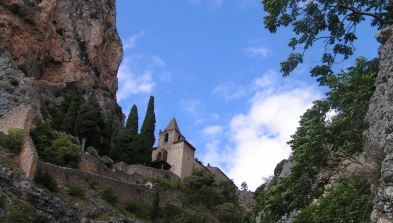 You will have the feeling of being in an medieval Alpine village. 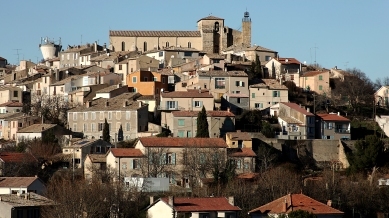 The center piece of the village is the 12th-century Notre-Dame church. 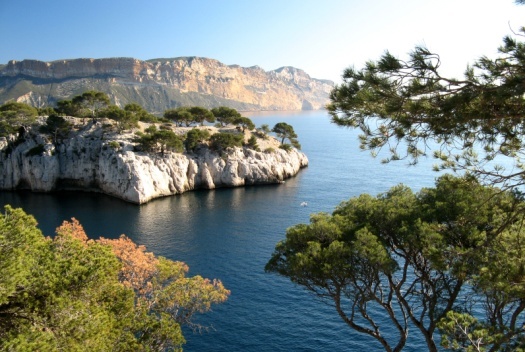 The gigantic cliffs of calcareous rock are the result of the erosion of the Verdon River. They are the deepest gorges in Europe. You will be amazed by the beautiful blue-green colour of the water. Very nice restaurant with terraces over the valley. 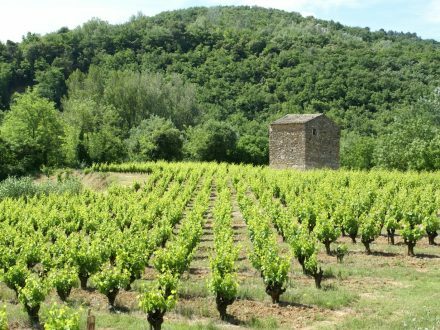 17th century house in the green setting of its own kitchen garden, on the edge of the village and at the mouth of the Verdon gorges. Owned by Mr Ducasse. 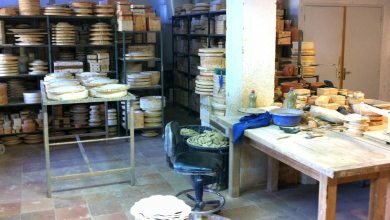 Atelier Soleil is among the oldest and most authentic ceramic workshops in Provence. 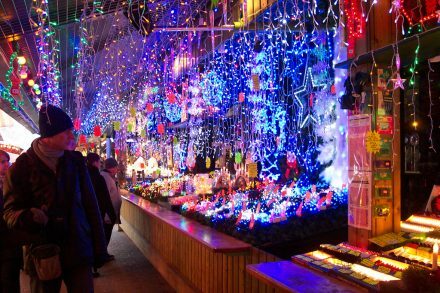 Discover its light and luminous faience earthenware, entirely handmade according to centuries-old techniques and traditions. 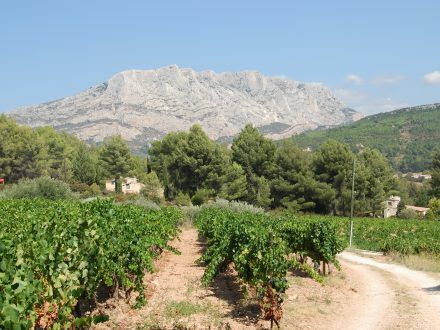 It will give you a fantastic view, from the red-tiled roofs of the village to the expanse of the Maire valley, the far hills and the Lac de Ste Croix. 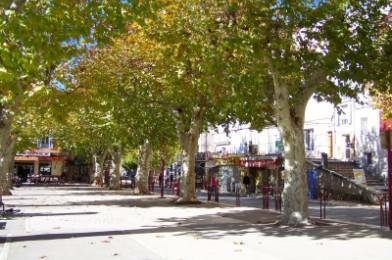 It will give you a fantastic view, from the red-tiled roofs of the village to the expanse of the Maire valley, the far hills and the Lac de Ste Croix.